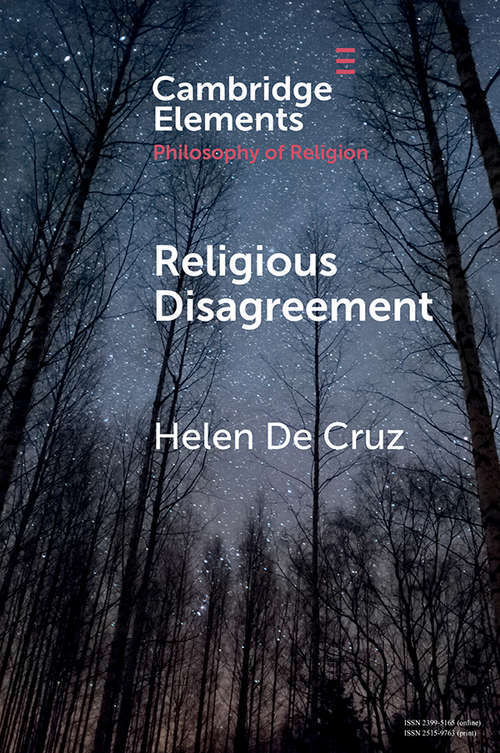 This Element examines what we can learn from religious disagreement, focusing on disagreement with possible selves and former selves, the epistemic significance of religious agreement, the problem of disagreements between religious experts, and the significance of philosophy of religion. Helen De Cruz shows how religious beliefs of others constitute significant higher-order evidence. At the same time, she advises that we should not necessarily become agnostic about all religious matters, because our cognitive background colors the way we evaluate evidence. This allows us to maintain religious beliefs in many cases, while nevertheless taking the religious beliefs of others seriously.